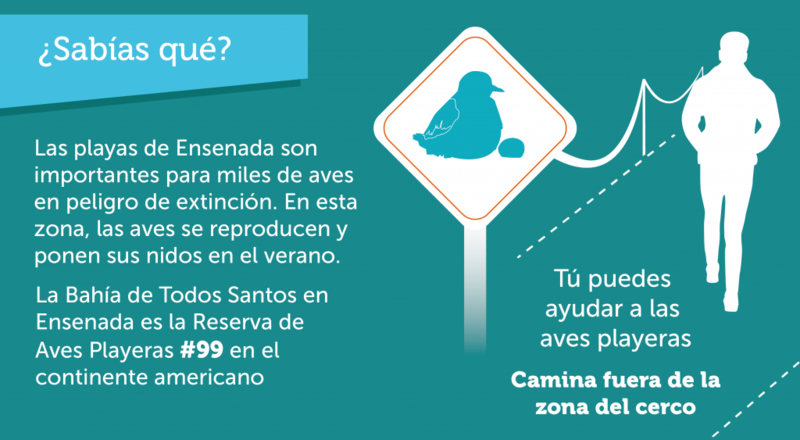 This is a campaign launched by Terra Peninsular to protect shorebirds that breed on the beaches of Ensenada between April and September. Install a seasonal fence on the beach. Rescue and rehabilitate homeless dogs on the beach. Ban vehicles on the beach. Press conference on June 5, 2018 to announce the campaign “La Playa Es De Todos” (The beach belongs to everyone, in English). World Environment Day Celebration on June 9, 2018. Monitoring the area to register snowy plover’s nests. Installing a seasonal fence to protect the nesting area of the snowy plover. Rescue and rehabilitation of homeless dogs in the area. Organize a beach cleanup on September 22 in front of Pacífica and La Lagunita to celebrate the International Coastal Cleanup. Sign the petition to ban vehicles on the beach of Ensenada in Mexico!